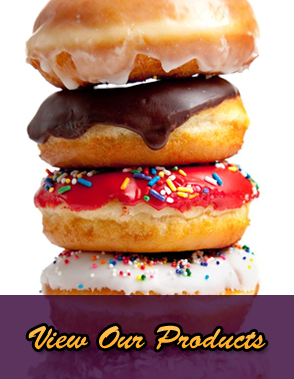 Maple Donuts offers coupons every Friday and Saturday morning in the local newspaper which can be used at all of our locations. We also accept competitors’ coupons at all of our locations. Bring this card with you each time you visit a Maple Donuts location. It will be punched for each dozen donuts you purchase. Monday is “Double-Punch” day. When the card is completely punch, you redeem it for a FREE dozen donuts of your choice. 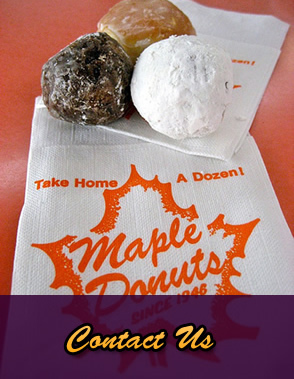 Have your card punched each time you purchase a coffee-to-go at any Maple Donut location. When the card is completely punched, you receive a FREE coffee to go. 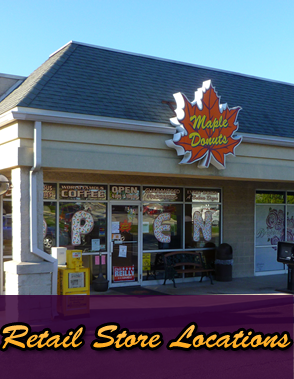 Maple Donuts, Inc. also offers Fundraising Programs as well as Gift Cards. For more information, please contact us.